The 4 bestselling manipulative and cognitive toys in this Educational Toys Planet's bundle guarantee hours of imaginative and developmental play for preschool kids. A farm is so full of life and fun, especially for the little kids. 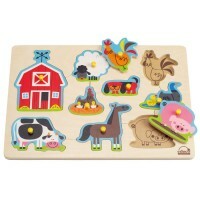 With our new adorable educational kit farm is full of learning, too! 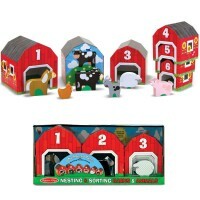 Sort, lace, count, match, tell stories, learn about the barnyard animals, and so much more! 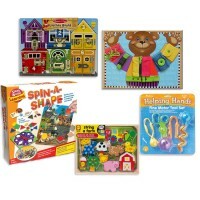 The 4 bestselling manipulative and cognitive toys in this Educational Toys Planet's bundle guarantee hours of imaginative and developmental play for preschool kids. Farm Animals Preschool Developmental Activity Toy Kit for 3-4 Years comes complete with all the award-winning toys your little farmer likes: Jumbo Farm Animals 7 pc Figurines Playset from Learning Resources, Melissa & Doug's Farm Cube Puzzle, Listen & Play Farm Bingo Animal Sound Game by the Learning Journey, and Alex Toys' popular String a Farm Lacing Activity Toy. 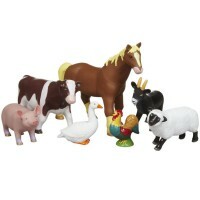 The farm jumbo figurine set includes 7 barnyard animals, sized really big for big imaginations! 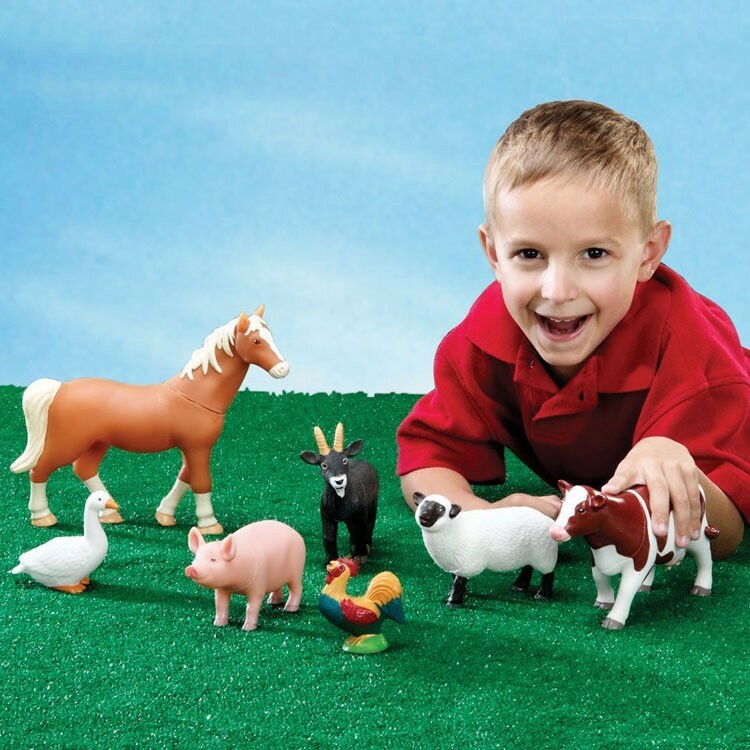 Play a farm, or a petting zoo, or we can make up our own role play with these realistic looking toy animals. 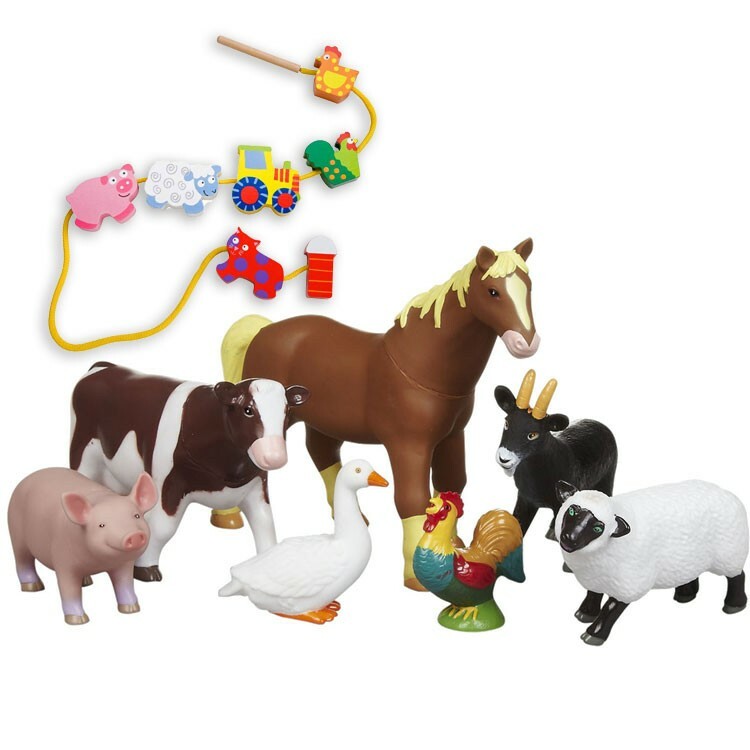 The jumbo toy cow, horse, pig, sheep, rooster, goose and goat look realistic to inhabit the play barn. 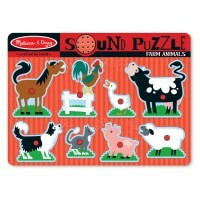 The Farm Cube Puzzle brings 6 farm animals puzzles in one! 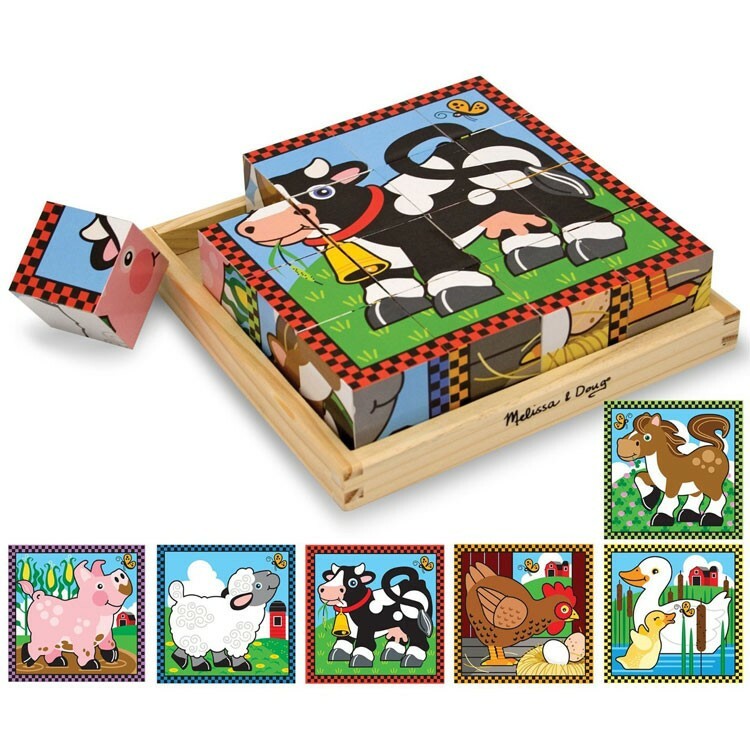 Sixteen colorfully illustrated wooden blocks challenge your child to correctly assemble a picture featuring a happy, friendly illustrated farm animal. The electronic farm bingo comes with Electronic Sound Button, 4 double-sided bingo boards and 36 double-sided cards with animal pictures on one side and animal word on the other. 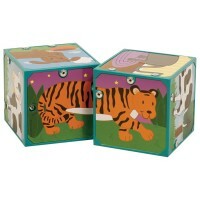 Press the button on the enclosed special electronic sound device, listen to the animal sound, and match the sound to the picture on your bingo board. 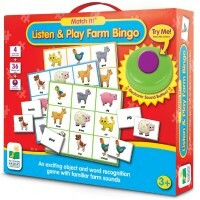 Preschoolers will love playing this farm themed lotto with their family and friends. 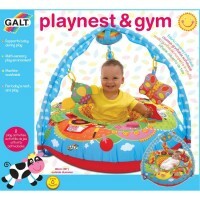 The lacing farm set is cute, educational and multiFUNctional! Children can string the quality crafted wooden blocks, make up a fun ranch story, or just play with the figurines as pretend toys. 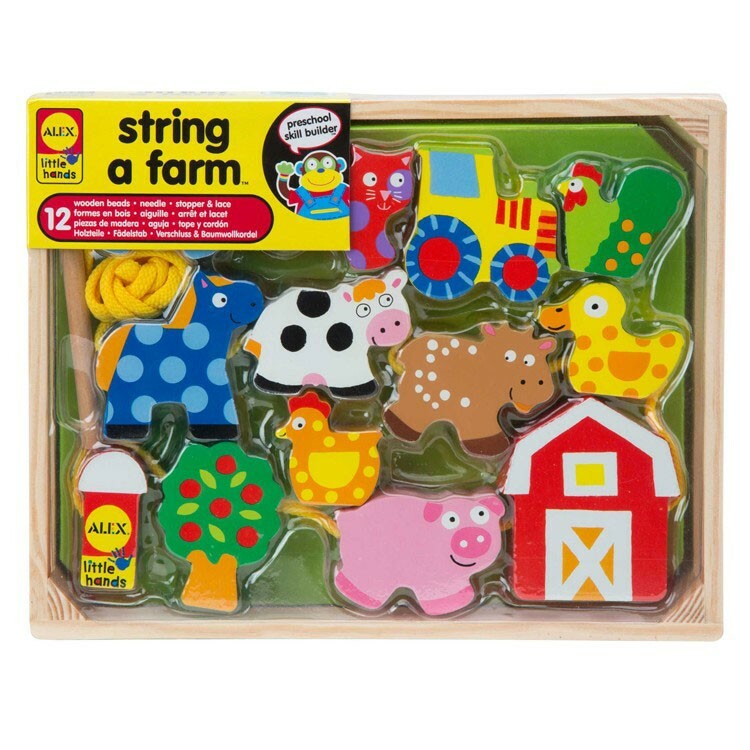 The farm beads lacing kit features 12 beads with colorful pictures of cow, sheep, rooster, horse, pig, duck and other farm animals, tractor and red barn. 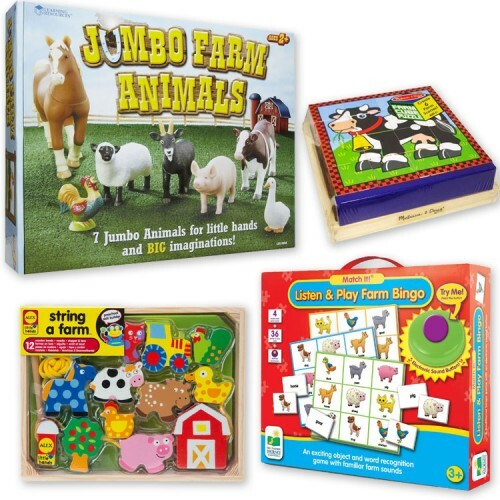 Farm Animals Preschool Developmental Activity Toy Kit for 3-4 Years lets your Little McDonald to have his own farm, complete of learning activities and imaginative games! 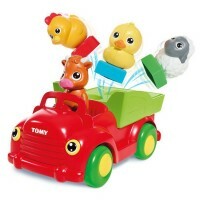 This educational toy bundle is a perfect play set for home or daycare centers. 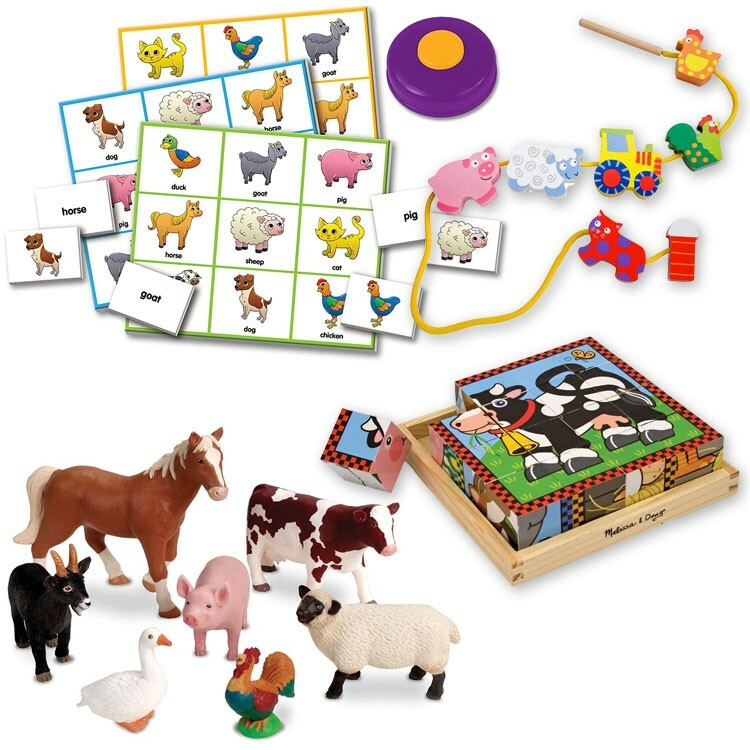 Dimensions of package 12" x 16" x 10"
Write your own review of Farm Animals Preschool Developmental Activity Toy Kit for 3-4 Years.